The College has numerous active academic and institutional partnerships and collaborations in South East Asia and is delighted to welcome over 1,300 students from the region each year. The active Singaporean student body at Imperial includes 400 full-time students and many exchange students. 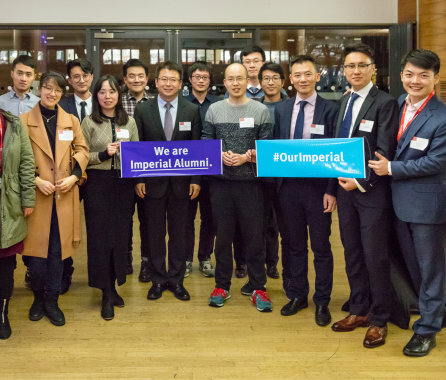 The Imperial College Alumni Association of Singapore, one of the largest alumni associations in the world, serves Imperial’s 2,000-strong Singaporean alumni community. Singaporean President Dr Tony Tan Keng Yam visited Imperial in 2014 as part of his State Visit to the UK. The Lee Kong Chian School of Medicine is a major partnership between Nanyang Technological University (NTU) and Imperial, designed to train the next generation of care-centred and technology-savvy doctors for Singapore. The School is already training more than 100 students on NTU’s campus, with medical degrees awarded jointly by NTU and Imperial College London. The School was founded in 2010 and its first students enrolled in 2013. 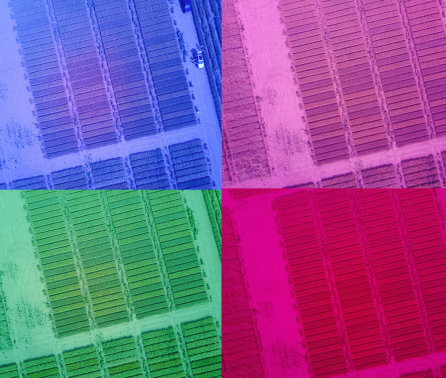 Imperial researchers have published 670 joint papers with colleagues at Nanyang Technological University, National University of Singapore, and the Agency for Science, Technology and Research (A*STAR) over the last five years. Some key areas of collaboration include nanophotonics, solar fuel cells, synthetic biology, and transportation studies. At the undergraduate level, the College is a partner in NTU’s Renaissance Engineering Programme which allows the top 50 engineering students at NTU to train at Imperial (or the University of California, Berkeley) for one year of their four-and-a-half year integrated programme. The programme combines the study of engineering, science, technology, business, economics and entrepreneurship. Singaporean President Dr Tony Tan Keng Yam visited Imperial in October 2014 as part of his State Visit to the UK. The College has over 500 Malaysian students, comprising the second largest international student cohort at the College. There is a strong alumni community, reflected in the Imperial College Alumni Association Malaysia (ICAAM) which was formed in March 1995. In May 2016 representatives from Malaysia’s Global Science and Innovation Advisory Council (GSIAC), including the Minister of Natural Resources and the Environment and the Minister of Science, Technology and Innovation visited the College to find out more about the College and its latest work with Malaysia. The College has a number of academic collaborations with Malaysia including a Joint Research Centre in Low Carbon Transport with Universiti Teknologi Malaysia (UTM). Malaysia’s former Deputy Prime Minister/ Education Minister, Tan Sri Muhyiddin Yassin, officially opened the centre in 2014. In 2015, Professor Gast visited the UTM Centre for Low Carbon Transport and received an honorary doctorate in engineering from UTM. The visit also marked the expansion of UTM Centre for Low Carbon Transport to a second site in Pagoh. Dr Rob Ewers in the Department of Life Sciences is leading the Stability of Altered Forest Ecosystems (SAFE) project – a ten-year research project based in the rainforest of Sabah, Malaysia. One of the world’s largest ecological experiments, it is providing insights into how forest ecosystems are affected by logging, and deforestation. In addition, the College signed a 5-year Research Collaboration Agreement for doctoral training with Petronas in 2013. This multi-million pound collaboration agreement with Malaysia’s national oil company will support future research and translation activities. Are you from the South East Asia region, and interested in studying at Imperial?